Our season concludes with music inspired by Celtic lands and traditions. Choral classics, folk songs, and crossover repertoire will conclude our season with a celebration of this musical culture rich in Celtic soulfulness. Celtic music sings of a rich yet complex system of cultures. The popular stereotype of Celtic culture features playful leprechauns and happy-go-lucky villagers in the quaint rural towns or highland settings depicted in musicals and films like Brigadoon and The Quiet Man. Accurate to an extent, this image nonetheless oversimplifies what historically have been highly complicated political, social, and economic realities. Celtic peoples (the original inhabitants of the British Isles) were oppressed through centuries by their conquerors: the Romans, the Anglo-Saxons, the Norse, and finally (and even through much of the twentieth century) their English governors. Thus, any generalizations about the music produced by these peoples need to take their entire history into account, so as not to sentimentalize that art. Even the term “Celtic” is complicated (as well as mispronounced by the Boston professional basketball team). 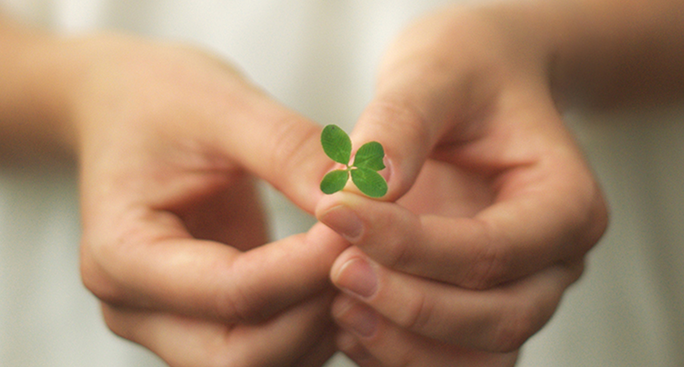 The common assumption is that the term refers only to Irish and Scottish culture. Yet the history of language shows that Irish and Scots represent only one branch of the Celtic tree, the branch more properly referred to as Gaelic (pronounced in Scots as “Gallic” rather than “Gaylic”). Another major branch includes the languages and cultures of Wales and Cornwall. Indeed, going back even farther into history, proto-Celtic peoples migrated to the British Isles from mainland Europe from even so far away as Turkey. Still today, Celtic languages (or dialects) and cultures exist in Brittany and Canada, as well as having had strong influence in the Appalachian U.S. In music, thanks in no small part to the popular appeal of performing groups like Celtic Woman, Celtic Thunder, the Irish Tenors, and Riverdance, the simplistic stereotype is often reinforced. The enchanting tunefulness of Celtic music sometimes conceals the harsher roots of that art, in much the same way that the history of slavery is the hidden mass of the iceberg underlying the African-American spiritual. From the musicological perspective the Celtic choral tradition appears no less complicated. At a recent convention of the American Choral Directors Association composer/arranger Michael McGlynn (founder and director of the contemporary Irish ensemble Anúna) pointed out that Celtic choral tradition is quite different from the English and European choral traditions, mainly in its lack of identifiable composers. In practical terms this means that concerts presenting Celtic music almost inevitably resort to modern choral arrangements, often by contemporary composer/arrangers. This reality is simply a reminder that we are listening to modern re-presentations of a largely anonymous folk tradition. The importance of the persona of the “composer” gives way to the effects of the music itself. Tonight’s concert title reflects still other complexities. “Blessings” are often a double-edged sword in Celtic cultures, as famous for their inventive and highly poetical curses as they are for their pious Christian benedictions. The latter are more prominent in tonight’s concert, but the “darker side” of Celtic lyrics is never very far from the surface, even when arrangers of the traditional lyrics tend to soften the harsher, often more “political” aspects of the lyrics in favor of sweeter musical effects. 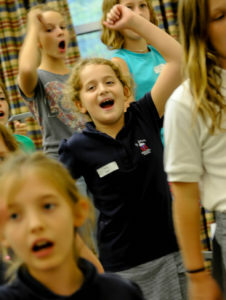 But “Blessings” can also be just that, experienced in the musical communication shared between singers and listeners. May blessings, then, be upon us all here tonight. The concert opens with an apt illustration of the often conflicted artistic and political context of “Celtic” music. The text is by Thomas Moore (1775-1852), considered in his time the national poet of Ireland, famous not just in his homeland but throughout the world, including in the United States, for his sentimental, “non-political” love songs, such as this and his even more famous “The Last Rose of Summer.” A committed Irish patriot, Moore was nonetheless content to popularize his songs among the English ruling classes. He often began his concerts with his “popular hits” but ended with his more revolutionary lyrics. Indeed, this song (based on the Irish tune “Humors of Ballymaguiry”) may illustrate both halves of Moore’s artistic self at the same time. On the surface the song may seem simply to be a lilting, upbeat tune depicting a sentimental image from classical mythology—the personification allegory of Venus and her son Cupid. Yet the content of the song may also be an “artistic misdirection” in which a seeming mere entertainment deliberately veers as far as possible from the problems of impoverished Ireland instead into the realms of the heavens, in the references to the classical notion of the “Music of the Spheres,” the belief that the “planets in heaven, by harmony’s laws alone are kept moving.” Noted arranger Alice Parker further underscores this celestial implication with the rolling, “circular” rhythms of the vocal parts and by suggesting harp accompaniment for the song—calling to mind another famous classical musical image, the “Aeolian Harp,” an instrument believed to be sounded by the heavenly winds passing over the strings. (The harp, of course, is also an official symbol of Ireland itself.) In these ways, “Sing, Sing”–including even its title–may offer deeper resonance than meets the casual ear—as may be characteristic of Celtic music in general. A program of Celtic music is almost unthinkable without this tune and these words, the latter written by English lawyer and author Fred E. Weatherly (1848-1929), who also wrote the lyrics for the well-known religious song “The Holy City.” Weatherly wrote the lyrics for “Danny Boy” in 1910. Two years later, his American sister-in-law sent him the traditional Irish tune known as “Londonderry Air.” Weatherly was unfamiliar with the tune but immediately saw that it perfectly fit his lyrics. The rest is history. Even the tune name “Londonderry Air” is contentious, in referring to the city in Northern Ireland still officially called Londonderry but which the Irish prefer to call Derry, reflecting the still-uneasy aftermath of centuries of Irish-English warfare. The arrangement sung tonight is by prominent contemporary American composer Mark Hayes, who is especially well known for his piano accompaniment writing. The particular example of “mouth music” sung tonight comes from the Hebrides Islands, west of mainland Scotland. Also from the Scottish Hebrides (the island of Eriskay) comes this traditional folk song, arranged by Simon Carrington, a founding and twenty-five-year member of the famous contemporary British male a cappella ensemble The King’s Singers (who will be returning to nearby Spivey Hall on November 22). An inclusion in a program of Celtic music nearly as automatic as “Danny Boy,” this ballad sings of love lost near the famous lake just northwest of Glasgow. Tonight’s arrangement is by prolific composer David Lantz III (b. 1956), who is a full time vocal music teacher in a public school system in Pennsylvania, as well as a church choir director and regularly performing jazz/pop bassist/vocalist. This arrangement is by Paul Caldwell and Sean Ivory, whose “Go Where I Send Thee” helped enliven the GCA December concert of 2008. This arrangement of a traditional Irish tune has Michigan connections with GCA Director Stephen Mulder. The piece is dedicated to the director and student members of a high school choir in Dr. Mulder’s home town, and Caldwell and Ivory are both graduates of nearby Calvin College. The song title Carrickfergus refers to the town near Belfast, Northern Ireland, after which the folk tune was named. The sad mood of the song’s ending helps prepare for the closing portion of tonight’s concert, a collection of benedictions or farewells. This ancient, anonymous Christian prayer reflects the deep connection with Christianity of all Celtic peoples in the British Isles. Julius Caesar had invaded Britain in 55/54 BC, and that Roman influx had almost certainly included the spread of Christianity to Britain by the first century AD. This arrangement is a hymn from Voices United: the Hymn and Worship Book of the United Church in Canada. The music is by Barry Peters, a native of Nova Scotia now serving in Greater Toronto as Director of Music at Richmond Hill United Church, whose choir shares in the arranger’s dedication of the piece. Of this secular valediction the vocal score explains “[This Irish folk song] is a song of departure and is believed to predate the more familiar Scottish folk song ‘Auld Land Syne’ by Robbie Burns.” This arrangement was premiered in 2001 in Kingston, Ontario, by the Cantabile Youth Singers, under the director of Mark Sirett, and by the Ottawa Regional Youth Choir under the direction of Barbara Clark. The touching depth of this song is that the “departure” here may mean not just the speaker’s exit from the pub that night but from life itself, judging by his broad reminiscences over his entire life (similar to the late-autumnal tone of “Carrickfergus”). Arranger Mark Sirett is a native of Kingston, Ontario, and a graduate of Queen’s University in Kingston. He holds both master’s and doctoral degrees in choral conducting and pedagogy from the University of Iowa, and has taught at the University of Western Ontario and at Queen’s University. This 1978 piece was commissioned by the Chancel Choir of the First United Methodist Church of Omaha, Nebraska. According to the vocal score, “The text of A Gaelic Blessing, long believed to be a translation of an ancient Gaelic original, is now known to be the work of the Scottish author and poet William Sharp (1855-1905), who sometimes wrote under the [female] pseudonym Fiona MacLeod. He was an apostle of the Celtic revival [and] a member of [Irish poet] W. B. Yeats’s circle. . . . The Gaelic Blessing text is part of a longer poem beginning ‘Deep peace I breathe unto you,’ which forms the conclusion of the short story The Amadan, first published in 1895 under Sharp’s pseudonym. The line ‘Moon and stars pour their healing light on you’ was added by [arranger] John Rutter to suit the metre of his musical setting.” That line also poignantly anticipates the text of the Welsh benediction that follows. With its gentleness of both text and tune “A Gaelic Blessing” is often used at deeply emotional ceremonies of passage such as weddings and funerals (including serving as the Commendation at the 1994 funeral mass for former U.S. House Speaker Tip O’Neill). GCA Director Stephen Mulder has a special fondness for this piece, with indelible memories of ending the school day in his first year of teaching with this choral benediction. This departing benediction may remind regular GCA concertgoers of the tradition of ending “Christmas with Griffin Choral Arts” concerts with the Peace, Peace arrangement that incorporates “Silent Night.” As we leave tonight’s concert, may our “weak lights” continue to shine together. Program notes (except where otherwise attributed) by Bill Pasch, copyright 2015, with thanks to Steve Mulder and Marty Watts. One of the premier Celtic performers on the international music scene today, Jamie Laval creates rapt audiences with his intensely passionate performances of traditional music of Scotland, Ireland, Brittany and Quebec, rendered with hints of classical refinement and ethnic music from around the world. What sets Jamie’s music in a class by itself is the nuance, virtuosity, and musical craftsmanship he brings to an ancient art form. Simple Celtic folk melodies are transformed into epic tonal narratives which take the listener on an emotional journey from quiet melancholy to wild jubilation. Jamie’s accessible sound appeals to families, youth, seniors, and devotees of ethnic, jazz, and classical music. The making of his trademark style began at the Victoria Conservatory of Music where he studied classical violin. 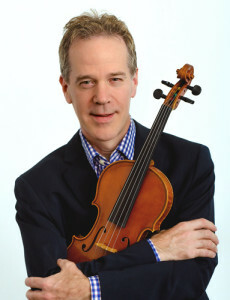 He performed actively throughout the Pacific Northwest as a professional symphony musician, recording studio artist, improvising violinist, and contra dance fiddler. Eventually his passion for the haunting sounds of rural Irish and Scottish folk music usurped all other preoccupations, and he has devoted himself exclusively to Celtic music ever since. In 2002 Jamie won the U.S. National Scottish Fiddle Championship and subsequently embarked on a full time touring career which today includes 100 engagements per year throughout the U.S. and Scotland. Jamie now lives in Asheville, North Carolina and takes a keen interest in the musical and historical ties that connect his Appalachian home with the dispersion of Celtic peoples from their original homeland. For five years he served on the faculty of The Swannanoa Gathering, the celebrated summer institute for traditional arts and music. Jamie has recorded three solo albums to date. Murmurs and Drones, his most recent, won the popular vote for “Best World Traditional Album” in the 2012 Independent Music Awards. Jamie has also collaborated on numerous television, film, and CD recordings, including Dave Matthews’ Some Devil, Warner Bros. Pictures’ Wild America, and WB-TV series Everwood. Recent live performances include the Bijou Theatre (Knoxville), Wintergrass Festival (Tacoma), the Freight & Salvage (Berkeley), Swallow Hill Productions (Denver), Club Passim (Boston), The Fringe Festival (Edinburgh), the NBC Today Show, The West Coast Live radio show, and a private appearance for Her Majesty the Queen. Kristi Abram Pass began her studies at the piano as a child, and later went on to pursue voice and harp training. While living in the Seattle, Washington area, she studied harp with Patricia Wooster and Lynne Palmer, and voice with William Eddy. Kristi received a diploma in Harp Performance from the Royal Conservatory of Music and a B.A. in Music from Louisiana Baptist University. 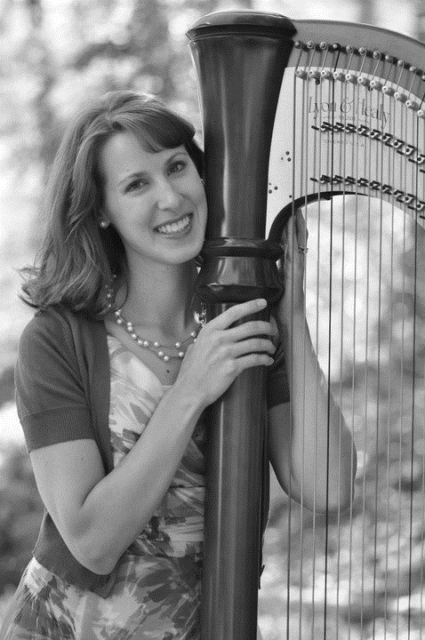 Kristi was the principal harpist for the Olympia Symphony Orchestra for seven years, and also played with the Tacoma Symphony, the Northwest Sinfonietta, the Bremerton Symphony, the Boise Symphony, and various other orchestras and choirs in the Northwest. She has played with the Southern Crescent Symphony Orchestra and has accompanied numerous choirs, including the Griffin Choral Arts, the PLU Choral Union, the Cascade Foothills Chorale, and Cora Voce. As a classically trained singer, Kristi has sung for many weddings, funerals, church services, solo concerts, etc. She has recorded two sacred vocal CDs. For two years, Kristi was a member of the Atlanta Symphony Orchestra Chorus. A highlight was singing with the chorus and orchestra at Carnegie Hall in 2010. Also an accomplished pianist, Kristi has been a church pianist for nearly 20 years, and has accompanied many singers and instrumentalists in various settings. Kristi has lived in McDonough, Georgia since 2008. Besides performing and teaching, she keeps busy as the blessed mother of three active little boys.